I love squash. No going around it. Love it in pasta, ravioli, caramelized with brown sugar, but most of all I love it in these puffs. 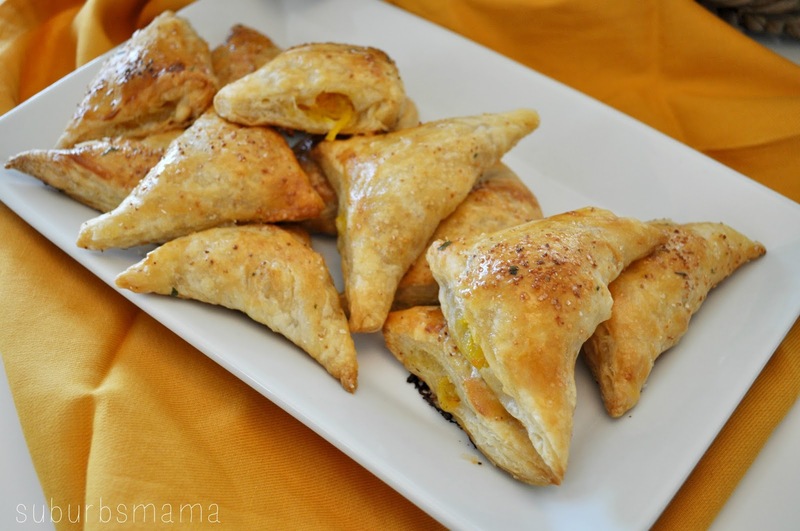 I do not really know what to call them, I kind off came up with the recipe with my mom's pumpkin filled puffs in mind. Her recipe involves a complicated and time consuming dough, which tastes amazing, but with three kids, homeschooling and general life duties, I just do not have the time to make. 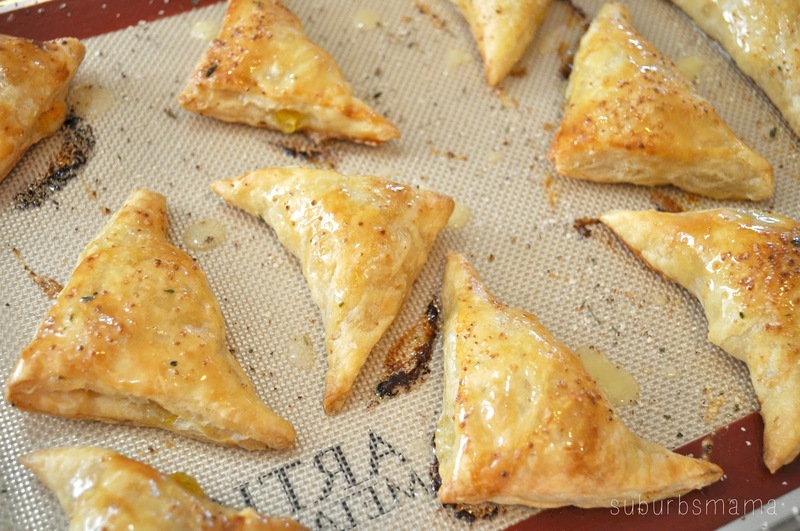 I started using store bought puff pastry and love how they turn out. 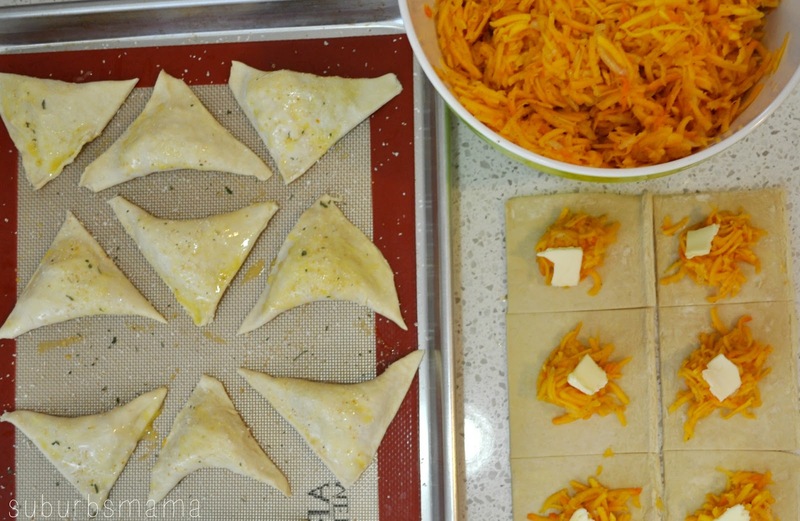 Take out your frozen puff pastry dough and lay out on the counter to thaw out. Peel and gut the squash. Place your grated squash/onion mixture into a large bowl. Add salt and pepper to your taste and mix well. 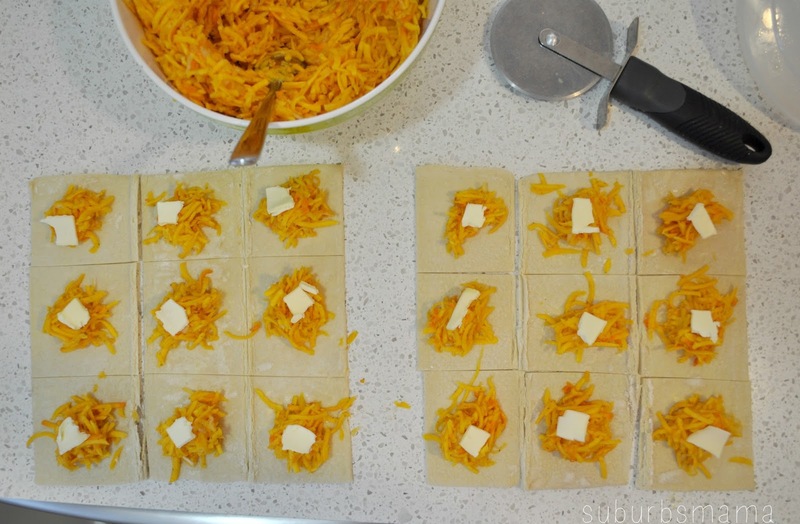 Divide the puff pastry sheets into 9 equal pieces, place about a tablespoon of the shredded squash on each piece. Add a cube of butter on top of the squash (place any extra butter aside). Fold each square into a triangle and pinch sides. Place onto a lightly oiled sheet. Whisk 1 egg and brush the tops of each triangle. Optional: Sprinkle with garlic salt, sesame seeds or leave as is. Remove form oven. Melt the remaining butter and brush the tops of the triangles. TIP: I always have squash left over, so I freeze the unused shredded squash in a small freezer ziplock bag for next time! Just thaw out at the same time as the puff pastry dough when you want to use it. That sounds really good! I might have to try it sometime!